Harrisburg, Pa. — The American Council of Engineering Companies of New Jersey (ACECNJ) presented Gannett Fleming with the Grand Honor Award for the New Jersey Turnpike Interchange 14A Improvements during the 2019 Excellence in Engineering Awards Banquet. 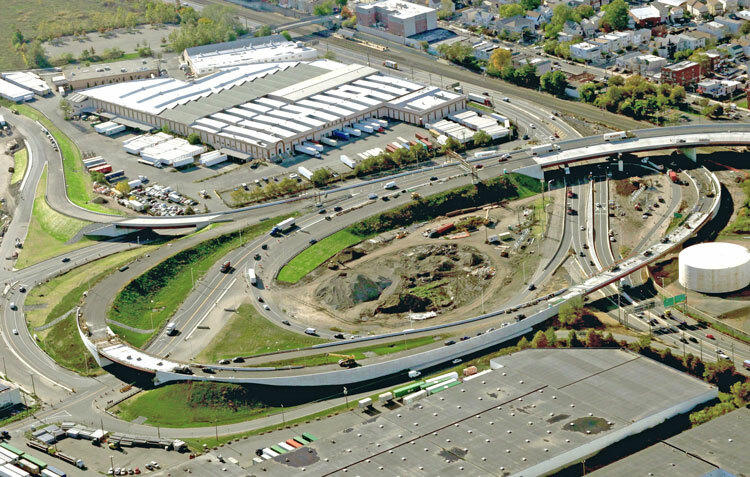 The team developed a plan that would improve interchange geometrics and operating conditions. The final design required the demolition and replacement of two large connector bridges and the construction of three new bridges. The $300 million improvement program features 11,000 feet of new and reconstructed ramps, two additional toll plaza lanes, four new bridge structures, and three bridge widenings. Gannett Fleming’s design reduces congestion, improves drive time for 50,000 daily motorists, and accommodates future traffic volume demand. Bayonne and southern Jersey City residents, along with employees and visitors to the Global Container Terminal Bayonne and port-related businesses, now reap the benefits of forward-thinking roadway advances. Delivered one month ahead of schedule and $14 million under budget, the Interchange 14A enhancements bolster economic activity for area businesses and strengthen traveler connectivity throughout the region.